George and Josephine have been involved for many years in community empowerment projects, locally in Zimbabwe and beyond the country’s borders. They share a deep passion for orphans and vulnerable people which led them to establish a charitable organisation focused on mentoring, parenting and training, with the goal to create a culture founded on sustainability and self-sufficiency. 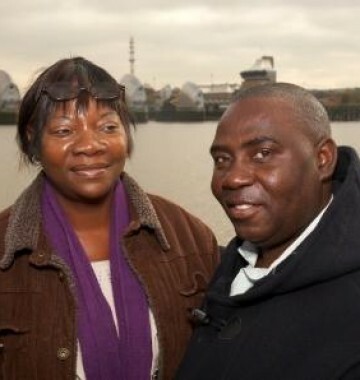 George and Josephine’s shared vision is seeking to help people realise their dreams, to see them released and restored from the cycle of poverty, being prepared and equipped for a future that is not founded on dependency. George was first introduced to LifeLine more than 15 years ago and has since worked together with different network partners in Zimbabwe, and beyond, supporting locally-based, locally-sustainable community development initiatives designed to alleviate and eradicate poverty, and release individual potential. In his current role as the Network Coordinator for Southern Africa, George oversees the network’s involvements in Zimbabwe, South Africa, Malawi, Mozambique and Zambia. In addition, he manages programmes in Zimbabwe for those affected by HIV and Aids. George and Josephine also have plans for developing of training colleges, clinics and vocational training schools that will better equip future generations.